The Lincoln white primed Roomfold Deluxe system from Climadoor is an ideal addition to your home. 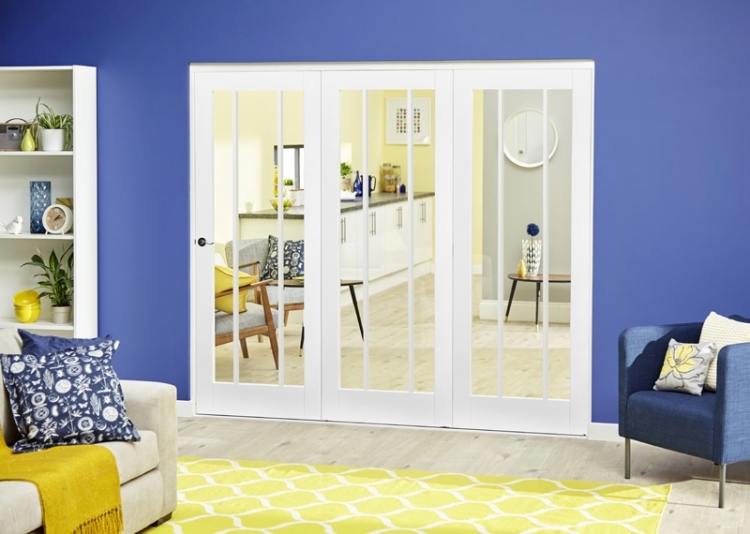 Creating that warm environment in the winter with this stunning internal folding door system, and then opening up your room during the warmer months, or for parties and gatherings, these internal bifold doors are ideal. What's more, you can expect a superb quality of finish. This top hung system is offered with white primed frame, head and base track with low level threshold, running gear, hinges, drop bolts and pre glazed quality white primed doors.